You might certainly know his face, his name, and charm but one can never exhaust themselves of random facts to know about this timeless Hollywood figure. 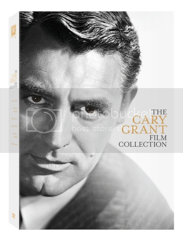 In celebration of today’s DVD release of The Cary Grant Film Collection, here are a few facts you may not have known about the legendary Cary Grant. ‘Gap Brand Fan’ - his favorite store was The Gap’ because they carried the only jeans he loved- Levi’s 501’s. ‘Natural Beauty Admirer’ – While makeup may be a necessity on set, off-screen he loved his leading ladies with no make up or sparse use. ‘Brains & Looks’ - trivial pursuit was a favorite board game and one of the last games played shortly before his death. ’Judy, Judy, Judy’- Often attributed to Cary, the famous quote is actually attributed to a professional impersonator that greeted Julie Garland as she walked in during one of the impersonator’s comedy sets. ‘Keep Calm and carry an American Flag’- Cary is English and became a U.S. citizen on June 26, 1942 - chancing his name from Archie Leach to Cary Grant. ‘Mole today, not tomorrow’ - He had a mole on his cheek that was removed between filming of Crisis and People will Talk in 1950 & 1951. 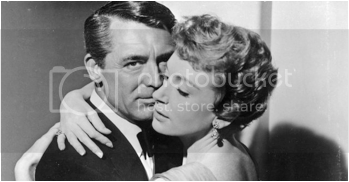 ‘Cary as James Bond’ - He was offered the role of James Bond in Dr .No but turned it down because he felt he was too old. ‘Always the Nice Guy’- He starred in 72 films throughout his career and never played the role of the villain. ‘Peer Review’ - Alfred Hitchcock quotes him as ‘the only actor I ever loved in my whole life’. ‘Charitable Patriot’- He donated his entire salary from the film Arsenic and Old Lace to the U.S. war relief fund. Over the course of his legendary career, two-time OSCAR® Nominee Cary Grant* has charmed audiences with his debonair style, sophisticated wit and dashing good looks. This 6-disc DVD set includes some of his finest films and most critically acclaimed performances. From screwball comedies to romantic dramas, this must-own collection also features some of Grant's most alluring co-stars, including Deborah Kerr, Jayne Mansfield and Marilyn Monroe.